barquitos de papel and other stories. 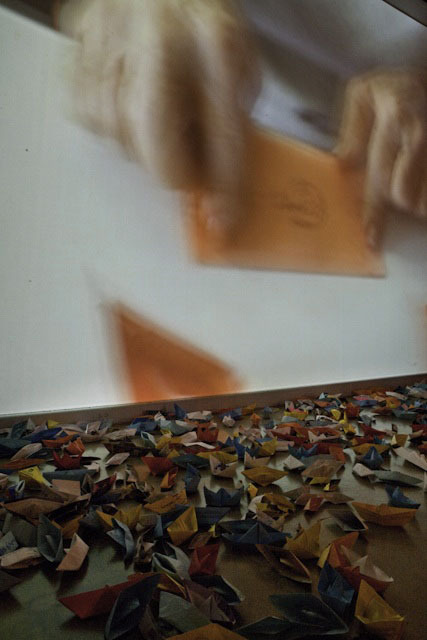 Works shown: Santos y sombras/Saints and Shadows and barquitos de papel/paper boats installation. 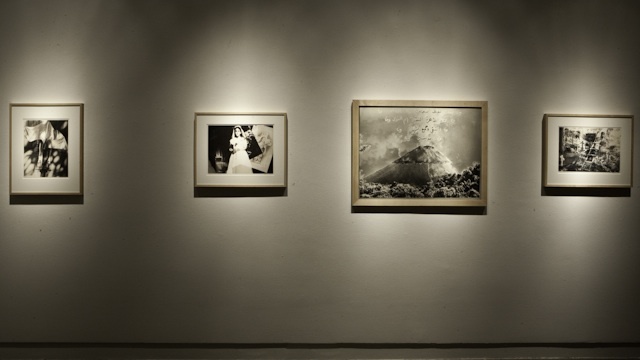 ﻿Installation photo by Fernando A. Rojas. 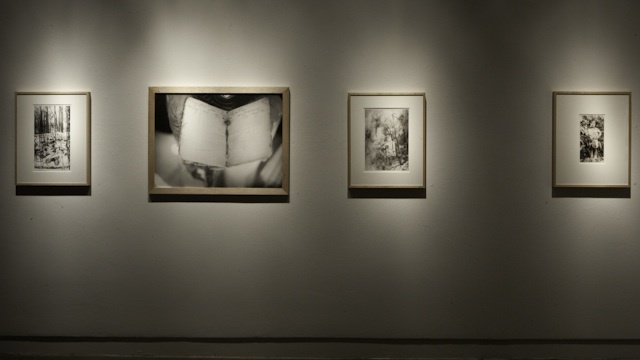 Santos y sombras, installation view. 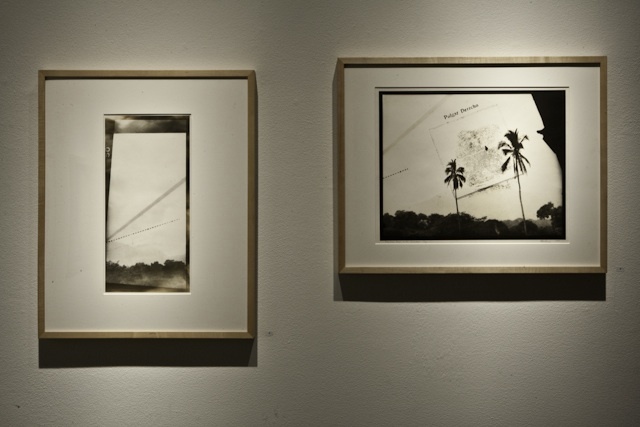 Santos y sombras, installation view: ﻿Palestina llega a El Salvador (diptych), toned gelatin silver prints.